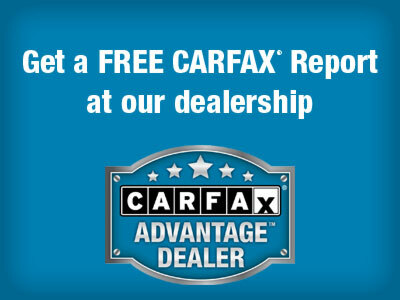 EVERY vehicle has a FREE CarFax report made easily available to you! EVERY vehicle is Inspected & Serviced by a Certified Mechanic before being made available for sale to you! Extended service plans available on most vehicles! We have several lenders to choose from and WILL fight to ensure you receive the absolute best financing options! EVERY vehicle is thoroughly researched before initial pricing so we can GUARANTEE we are the most aggressive! Our staff has over 25 years combined in the auto industry! We don’t like the “typical used car salesman” either so we treat you like we would want to be treated, we value your time and vow to make sure your overall car buying experience is the most memorable yet! We not only love earning your business today but we love looking forward to serving you, your family and friends for many years to come!